Whew! That blog title is a mouth full! Funny story, when I tried to introduce this book to our book club, I couldn't spit the title out. A fellow mom came to my rescue and introduced the book. I don't know why it was so tricky, but I just couldn't say it! Anyway...We took a few months off from book club because of the holidays and came back together in February to celebrate the reading of From the Mixed up Files of Mrs. Basil E Frankweiler by E.L. Konigsburg. If you are not familiar with this book, the Metropolitan Museum of Art serves as the background for a mystery surrounding a work thought to possibly be Michelangelo's. A brother and sister spend the book looking for clues while living at the museum. It was a fun read. As an appropriate celebration, we decided to host our book club at the local Art Museum. They have a great wing with classrooms that we were able to meet in and then we went for a short guided walk through part of the gallery! Our craft this time was led by a fearless mama who brought in clay so the students could sculpt their own Angels, inspired by the sculpture in the book. The kids had so much fun! Our snack was fun too. In the book, the children eat from a cafeteria called an Automat. So, our creative mamas brought selections that you might find in an automated cafeteria! 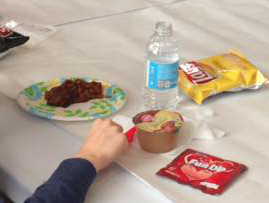 We had bags of chips, applesauce, and baked beans (referenced in the book) along with bottled water and juice pouches. The kids loved it! They played a game about the Automat as well, but I'm not sure of the details because it happened in another room. Unfortunately that means I also didn't get any pictures! Next we headed into the museum! We had a guide that helped us learn to really study and look at art. 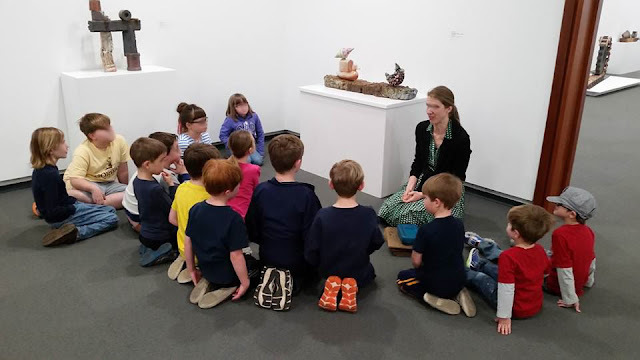 She was incredible, asking the kids to use different words to describe what they were looking at, to look at specific shape and color and texture. 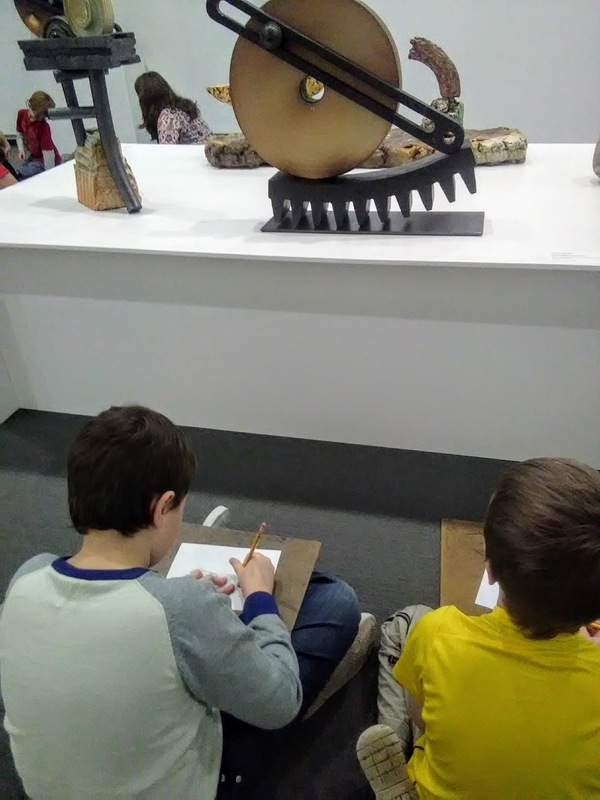 After the children had learned to look more closely at art, they were each given drawing tools and set to work trying to capture the art they chose to sit in front of! They were asked to focus on the details, the shape, make note of the color. 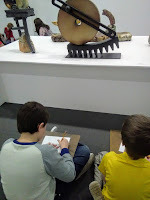 They had a great time and after they shared what they thought the pieces of art could have been inspired by. It was fun to take a peak into each of their minds when they shared! Overall, I think doing a desitnation book club was a big hit! My oldest rated it "the very best book club ever"! I would love to think of another destination book club. Any ideas? 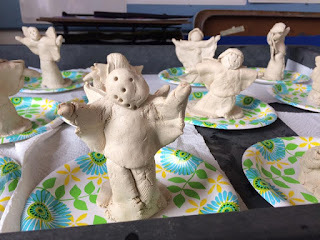 Our next book club is actually this week so check back in next week to see what we did for our April book celebration!